There has always been a clear seasonal pattern for house prices, but the seasonal differences have been more pronounced since the housing bust. Even in normal times house prices tend to be stronger in the spring and early summer than in the fall and winter. Recently there has been a larger than normal seasonal pattern mostly because conventional sales are following the normal pattern (more sales in the spring and summer), but distressed sales (foreclosures and short sales) happen all year. So distressed sales have had a larger negative impact on prices in the fall and winter. 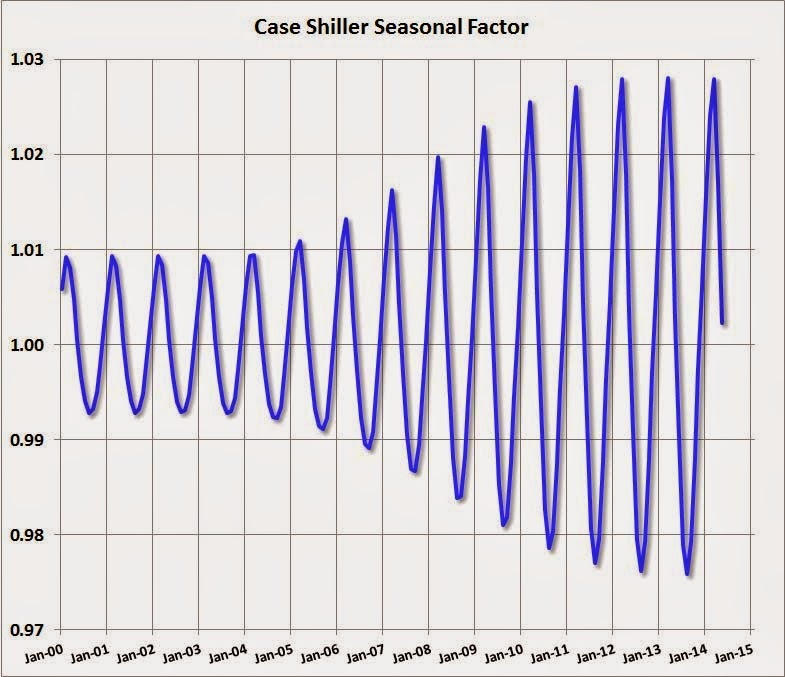 Note: I was one of several people to question the change in the seasonal factor (here is a post in 2009) - and this led to S&P Case-Shiller questioning the seasonal factor too (from April 2010). 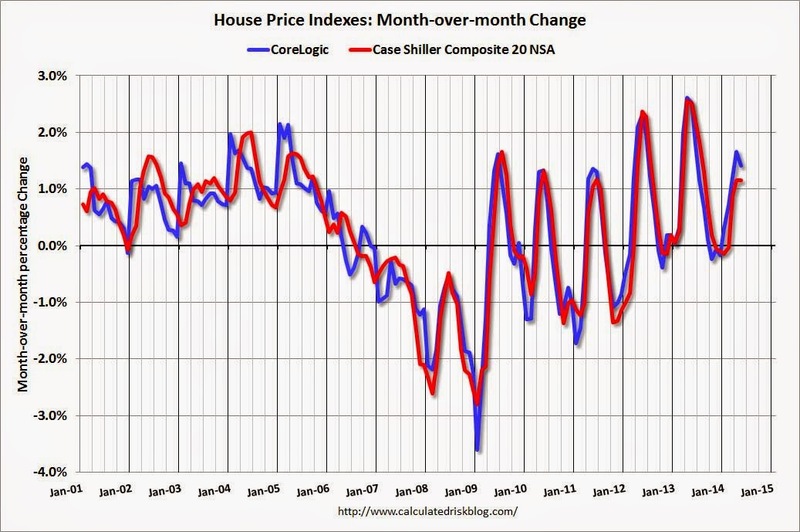 This graph shows the month-to-month change in the CoreLogic and NSA Case-Shiller Composite 20 index since 2001 (both through May). The seasonal pattern was smaller back in the early '00s, and increased since the bubble burst. 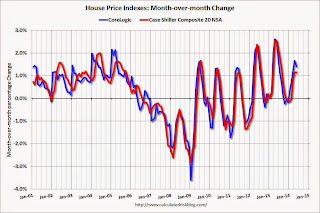 It appears we've already seen the strongest month this year (NSA) for both Case-Shiller NSA and CoreLogic. This suggests both indexes will turn negative seasonally (NSA) earlier this year than the previous two years - perhaps in the August reports. 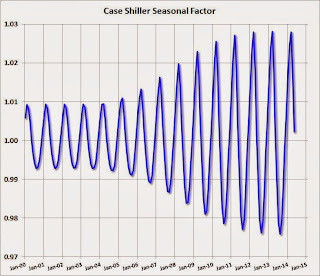 The second graph shows the seasonal factors for the Case-Shiller composite 20 index. The factors started to change near the peak of the bubble, and really increased during the bust. It appears the seasonal factor has started to decrease, and I expect that over the next several years - as the percent of distressed sales declines further and recent history is included in the factors - the seasonal factors will move back towards more normal levels.